Dr. HAHM Chaibong is the president of the Asan Institute for Policy Studies. Previously, he was a senior political scientist at the RAND Corporation in Santa Monica, California, professor in the School of International Relations and the Department of Political Science as well as the director of the Korean Studies Institute at the University of Southern California, Director (D-1) of the Division of Social Sciences Research & Policy at UNESCO in Paris, and a professor in the Department of Political Science at Yonsei University. 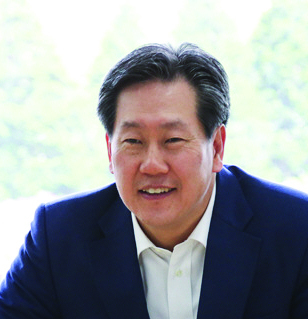 Dr. Hahm is the author of numerous books and articles, including “China’s Future is South Korea’s Present,” Foreign Affairs, (Sep/Oct 2018), Hanguk Saram Mandeulgi (Becoming Korean), Vols. I, II, (Asan Academy, 2017), “Keeping Northeast Asia ‘Abnormal’: Origins of the Liberal International Order in Northeast Asia and the New Cold War,” Asan Forum (Sep., 2017), “South Korea’s Miraculous Democracy,” Journal of Democracy (Jul., 2008), “The Two South Koreas: A House Divided,” The Washington Quarterly (Jun., 2005), and Confucianism for the Modern World (co-edited with Daniel A. Bell, Cambridge University Press, 2003).